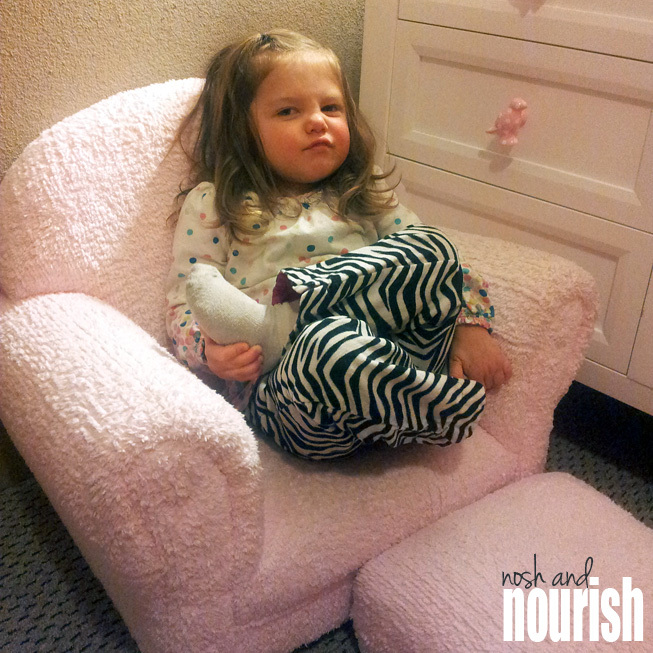 Most of you have never met my daughter, lovingly referred to as "Babycakes" on this blog. But if you did, you would a) be surprised at how well she can speak -- it is like having a conversation with a little adult, b) be enamoured by her sweetness and genuine concern for others, c) be impressed by the variety of foods she'll put into her mouth and actually swallow (and dare I say, enjoy), d) be shocked at how many times she asks "why?" -- not to be annoying, just because she is genuinely curious and interested in discovering how her environment works and e) wonder where in the world she gets all that energy!!!! That being said, she really is not at all like me. And I love it. I love how strong she is, how much personality she has, and how unmoved she is when it comes to other people's opinions. She is simply amazing. And this is a good one - like "come on, mom... I will wear whatever I want and you're gonna like it!!" Oh, yeah... and some of you came here just for the recipe. I am totally in love with this picture. And these sliders. I have never been a "slaw" kind of person. I don't love the taste of cabbage, and I absolutely DETEST mayonaise. Eww. Eww. Eww. But, I always see slaw served with bbq (is that North Carolina style, technically?? Maybe one of my Southern readers can tell me!) So I made my own Hawaiian slaw with plain greek yogurt. And it was the perfect balance to the bbq flavor! And it gave me some great color!! 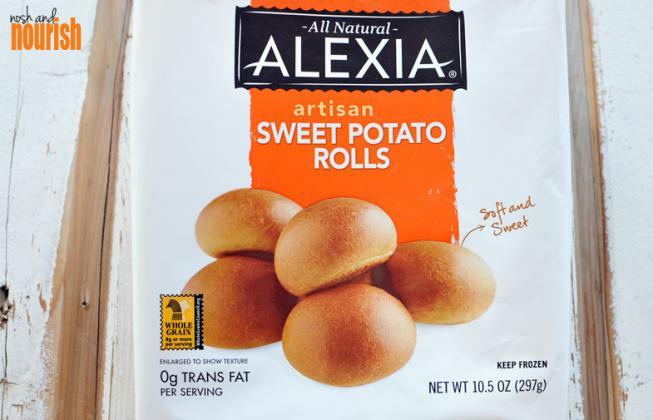 I used these Alexia Sweet Potato rolls, and they were delish. 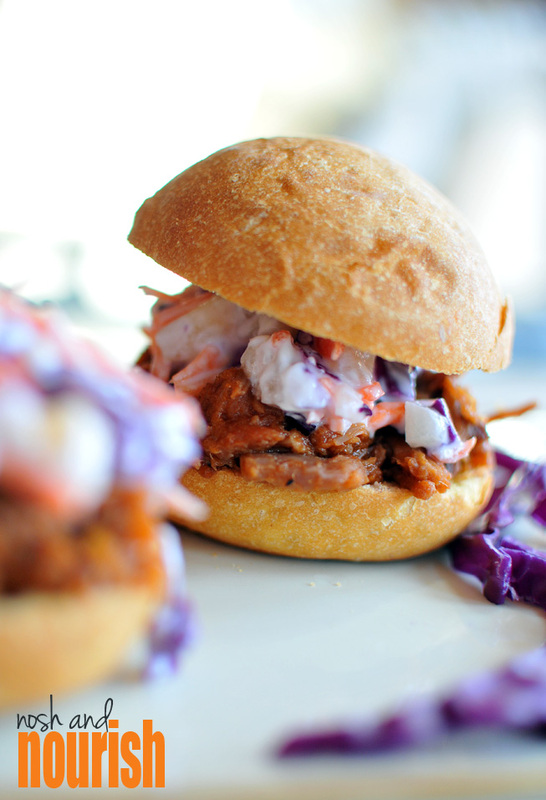 Do you like "slaw" on sandwiches? 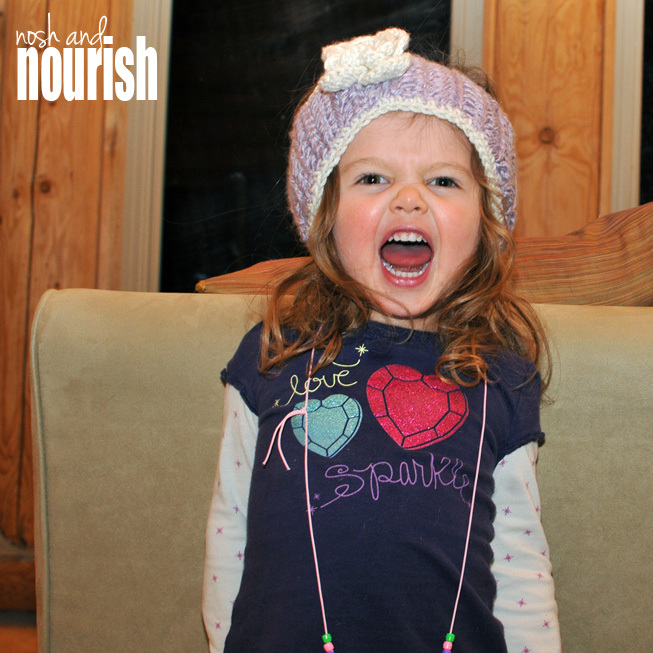 Is your child's personality like yours? Heat the pulled pork and bbq sauce in a medium saucepan. Mix together carrots, pineapple, cabbage, and greek yogurt. Bake the slider buns (if necessary). 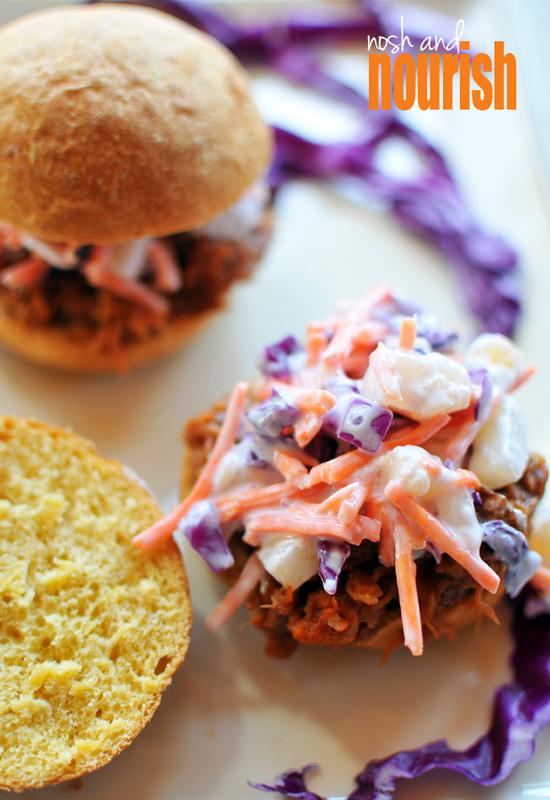 Construct your Hawaiian BBQ sliders with a big spoonful of pork, topped with a big spoonful of slaw.